Olio Extravergine D’Oliva – Olive Oil Tenuta Basciano Our olives are organically grown and we use no pesticides on our trees, while ensuring they are checkedregularly. When the olives reach the right degree of ripeness, they are picked and immediately taken for cold pressing in a dependablecontinuous-cycle olive press in Moscufo. This processing method enhances the quality of the oil and the sensorial and nutritional qualities remain intact. Meticulous hygiene during production and attention when storing the oil ensures these qualities are safeguarded over time. Organic Inspectionbody authorized by the Ministry of Agricultural Policies (MIPAAF) – IT BIO 009 CCPB supervised operator no.BM 74 (EC) no. 834/2007 and no. 889/2008. 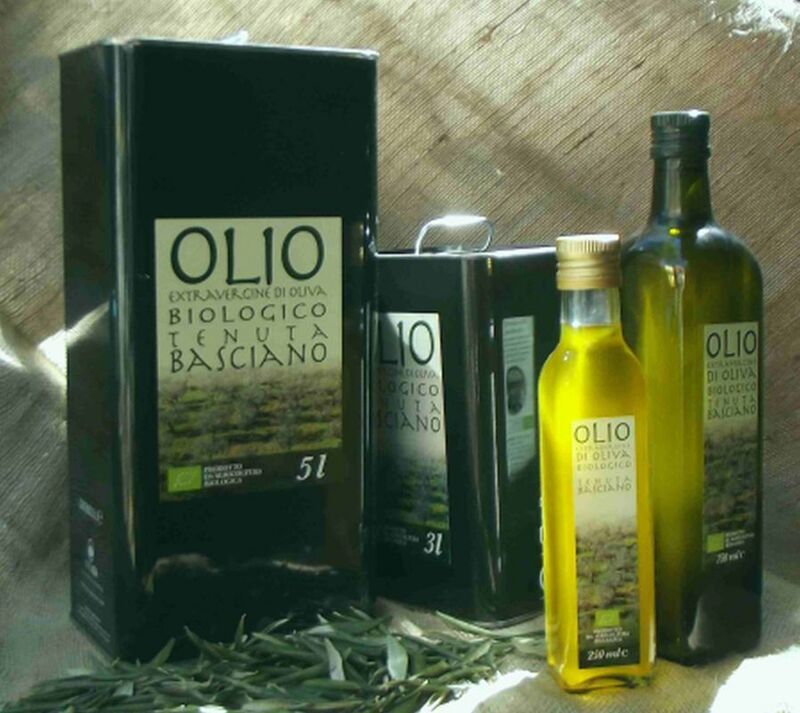 Oil and Health Oliveoil contains health-giving substances and antioxidants, including vitamins A and E, and above all polyphenols, which reduce bad cholesterol (LDL) and give the oil its characteristic tangy flavour. Oliveoil, to stay young and healthy! The Dritta cultivar is known for its high polyphenol content, which gives TenutaBasciano oil a slightly tangy flavour.